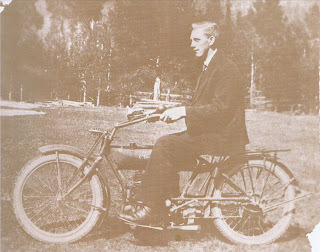 Ivar Klokkerhaug (1879 - 1929) got himself this neat little Cleveland light weight in 1920 to easier get around at the local roads in eastern Norway. This is a later type Cleveland as introduced in 1920. In previous years the Cleveland was offered with a more oldfashioned round style fueltank, another frame, handlebars and more. 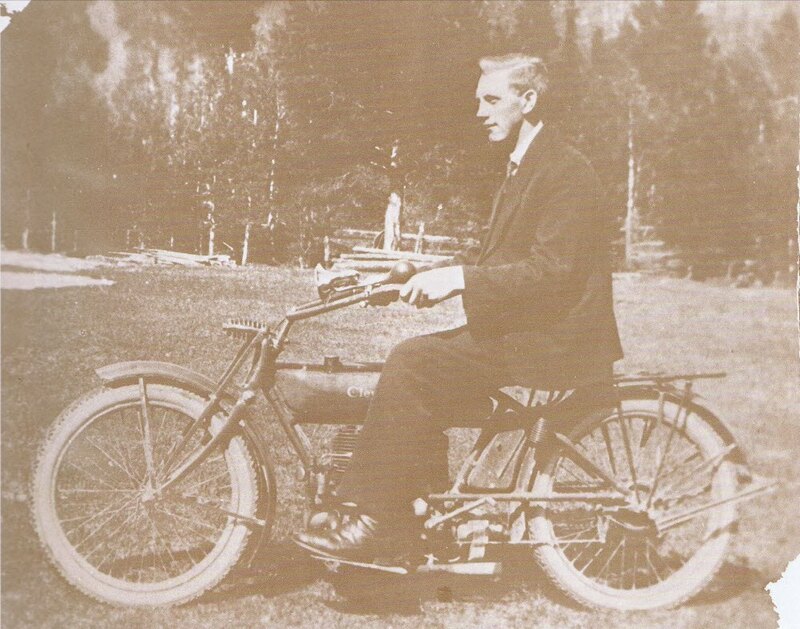 The two stroke Cleveland was introduced to the market in 1915 and lasted until 1927 (?). Cleveland made the now famous Tornado model, a sporty four cylindered machine as their last attempt to secure their part of the market.